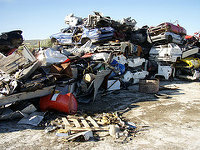 It is possible to visit 956 salvage yards in Texas. In this website you will get all the recycling centers for motorbikes, cars or trucks available in the surroundings of Texas. We provide all the contact information you could need: directions, telephone and fax numbers, sites, etc. 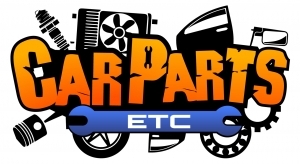 The used auto parts and businesses shown on our website are available throughout Texas. You can acquire vehicle parts from our recycling centers or have the used auto pieces dispatched directly to your door or repair centre. Now, we offer the very best 10 existing salvage yards in Texas, those that have passed our quality checklist and additionally have been verified by the employees. We encourage you visit them in order to acquire the help you need. You won't regret! 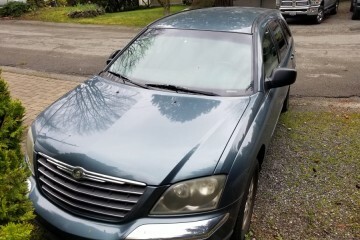 The finest method to economize hundreds of dollars on spare parts for your auto is by visiting a vehicle wrecking yard, and this is an excellent choice in the Abilene surroundings. Additional information: The Abilene Auto Wrecking is open Monday to Friday.Other visitors have shared 1 opinions about this salvage yard. This guy Jim, what an awesome guy. Full of experience. Auto parts and racing. Mopar and Ford. Jim is the one to buy parts from. You can contact the attentive managers of this salvage yard by these methods: tollfree, email or phone. In order to buy the best quality vehicle spares in the town of San Antonio (Texas), they are an ineluctable option. Additional information: They work from Monday to Friday. 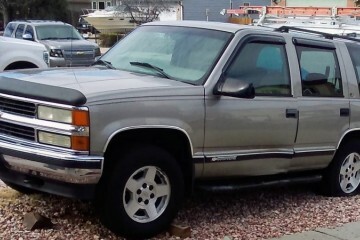 The best way to economize large amounts of money on spare parts for your car is by approaching a vehicle salvage yard, and this is a great choice in the Corpus Christi surroundings. They're open from Monday to Friday.In addition, you can read 1 reviews in order to know more about this business. Visitors can locate this business in the proximity of the town of Victoria (Texas). Its primary business model is the sale of auto pieces at the best prices in the state and with all the guarantees that you may wish. If you want to get in touch with them, you can do it by these methods: phone, tollfree or email. Know what kind of car you drive and the year model and they can help you.. If not get the vin# so they can figure it out. 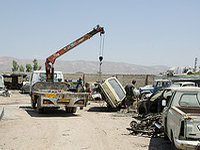 You can contact the welcoming managers of this salvage yard by these methods: phone and email. 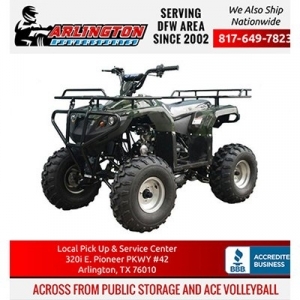 In order to buy the best quality vehicle pieces in the town of Arlington (Texas), they are an inescapable choice. They're open from Monday to Saturday. This junk yard is placed in Columbus (Texas) and it's providing the best quality vehicle parts to its eventual purchasers in the area. In case you need to request an estimation for your used car or ask for a particular junk part, please get in touch with them using email, tollfree and phone. This salvage yard is located in Pasadena (Texas) and it's distributing the best quality auto spares to its potential customers in the vicinity. If you want to inquire an estimation for your used vehicle or ask for a specific second-hand spare, please contact them using phone and email. Purchasers can locate this business in the vicinity of the city of Houston (Texas). Its fundamental business area is the distribution of vehicle pieces at the lowest prices in the area and with all the guarantees that you may require. If you want to get in touch with them, you can do it by these methods: tollfree, phone and email. This junk yard is placed in Graham (Texas) and it's offering the best quality auto spares to its eventual clients in the area. In case you need to request a valuation for your old vehicle or ask for a specific junk piece, you can contact them using email, tollfree and phone. This junk yard placed in the municipality of San Marcos (Texas), delivers a very efficient service to its clients, with great discounts but with the best excellency and a huge diversity of catalog. You have the option to contact them via: phone and email. Here are our user's most voted junk yards in Texas. Click on your city in the list to purchase auto spares in your state. Tap under these lines the county belonging to Texas where you are looking for salvage yards for autos, motorcycles, and ATVs and check the most truthful contact information. 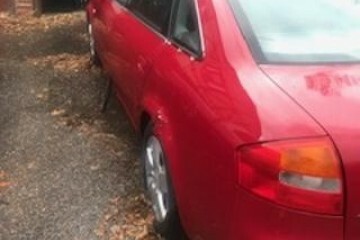 We deliver the most complete second hand car pieces database in Texas. Select below the type of spare part you're looking for. 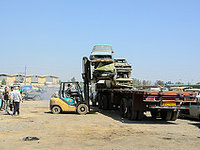 We are continually listing new wrecking yards to our database. What you can see here is a sample of the most recent in Texas. 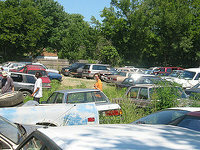 If you have a wrecking yard and you want it to be listed on our website, click the button in the upper left, it's free! 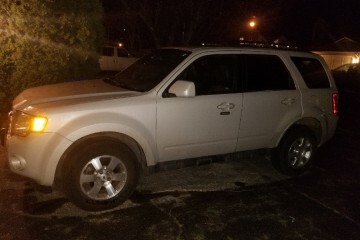 If you are looking for the best second-hand parts in the Orange surroundings, this business is a perfect choice to obtain them at a low price. You can get in touch with them using: phone or email. 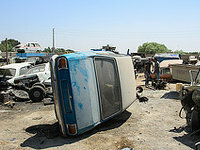 The I10 West Auto Salvage is open from Monday to Friday. It's easy to economize a lot of money on the maintenance of your well-liked car by purchasing second-hand parts with guarantee in this well-known in Arlington neighborhood junk yard. More information: They work from Monday to Saturday. They distribute an highly professional service at lower prices, with a huge breadth of catalog and with the warranties requested by its clients. Users can locate this business in the municipality of Arlington (Texas). More info: The AffordableAtv.com is open Monday to Saturday. The junkyard parts can provide the same functionality as the ones bought in the official store. 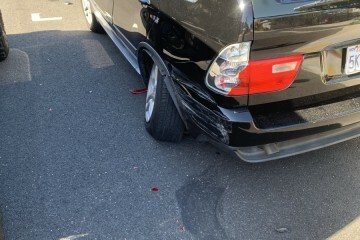 The only thing you should keep in mind in most cases is the use of the spare and the warranty in the situation you're acquiring it in a junk yard. 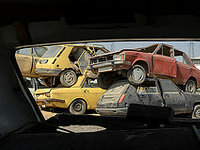 Would you like to include your JunkYard in Texas, US listing?